Please enjoy this little taster of a film that kicks off our “Best Game Shoots in Britain” series. Plas Dinam, a fantastic little gem hidden in the Welsh Countryside. The full film is out soon, make sure you tune in to Dave Carrie Shooting. Welcome back to our new series of videos where we will look back at the best of Dave Carrie’s kill shots. Going through every single high bird shooting video ever released and also some that you will not have seen yet. How to Shoot High Birds with Dave Carrie. High Bird coaching at Park Lodge. 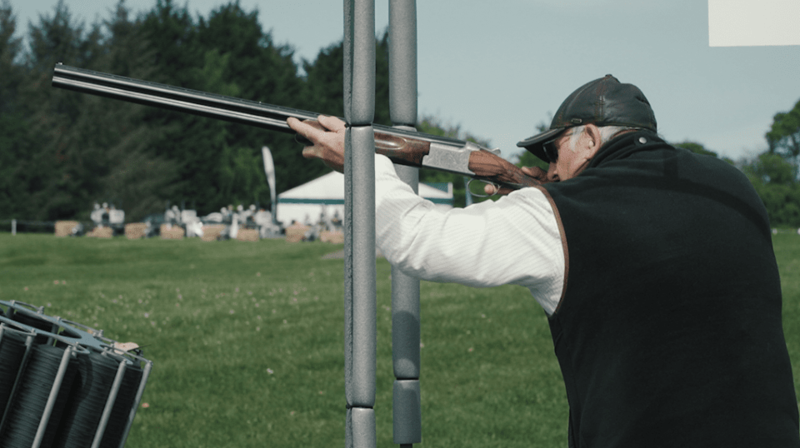 Dave Carrie talks you through how he tackles the high game birds covering footwork, straight driven, long crossers and more. We’re also joined by Paul from Gamebore who brought along some new Dark Storms for us to try out. Welcome back to our new series of videos were we will look back at the best of Dave Carrie’s kill shots. Going through every single video ever released and also some that you will not have seen yet. Incredible high bird shooting at the glorious Glanusk Estate. Thanks to Mark Coleman sport for a fantastic day. Welcome to a new series of videos were we will look back at the best of Dave Carrie’s kill shots. Going through every single video ever released and also some that you will not have seen yet. Whitfield high partridge off the edge of the moor. A fantastic day out in the wilds of Northumberland enjoying some high, fast partridge on an estate that really cares about their environment and conserving their local flora and fauna. Take a look at Day 1 of 2 spent at the magnificent Drumlanrig Castle & Country Estate. Beautiful scenery, fantastic drives and unbelievable birds. Dave Carrie shows us how it’s done with some exhibition shooting. Watch as Dave Carrie takes on the challenge of some rapid grouse in Nidderdale. A wonderful day surrounded by outstanding landscapes.